ekiBlog.com: Hope everyone is having a nice Holidays so far! Hope everyone is having a nice Holidays so far! Aww so glad to hear you had wonderful Christmas! I had a good one too, and stuffed myself as well with loads of yummy food! Hehe XD My new years resolution is to definitely join a gym, I want to keep myself fit this year and strengthen my inner system. ooomg Eki, you look so radiant and flawless in the pictures! seriously you look amazing! love the earrings too. Hope you had a lovely Christmas dear! Glad to you hear you had a wonderful Christmas. I never had a white Christmas before. I can imagine how fun and beautiful is it. Wish you and and your loved ones a happy 2010! Beautiful photos of the table and ornaments, that's so festive^^ You were so brave to head out in that snow, but the portraits of you are just so sweet! if being on a snow-laden place can make someone look as pretty as you do, i'd jump in straight to a plane just to go there! it's nice to know that you had a great christmas. being surrounded with family & friends is a sure way to enjoy & have a memorable christmas. glad you had a great time,hun! Here in the Philippines we celebrate with a big bang..literally! a lot of firecrackers & lots of noises. hope you'll have a lucky start for the new year,girl! Snow... Eki your look great! 3. make the cutest stuff for ekilove! Your pictures looks very pretty. I love the white reflection!! A bit of fantasy feel. aw you always look so pretty!! omg beautiful! i wish i had skin as white and pretty as yours!! HappY Holidays!!! YOu are just too pretty eki!!! aww girl!! ur table setting is off the hook! very cute! so glad u were able to enjoy a winter white xmas.. love ur down jacket against the snow! hehe. The goodies are adorable! And I LOVE your photos in the beautiful snowy forest! So natural and cute! Wow! 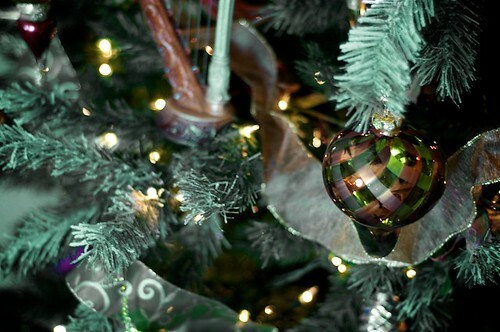 Your Christmas decorations indoors look fabulous! Looks like you had a lot of fun in the snow!! I wish we had snow here in Toronto already!! 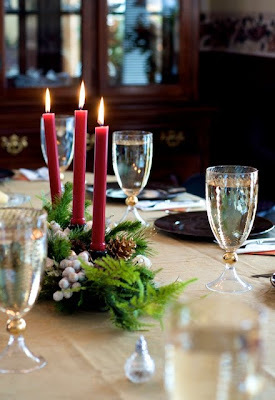 I absolutely ADORE your table setting for Christmas dinner! It's so classy, elegant, and simple! 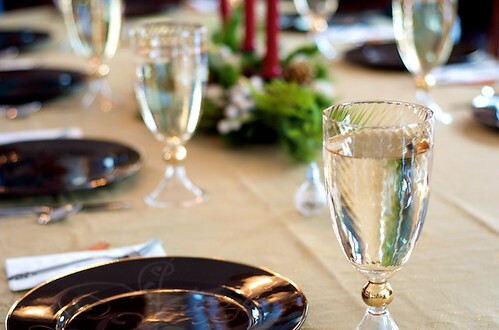 I really love the plates and the glasses--beautiful color and design! Thanks for sharing the eyecandy photos of your table and Christmas tree decorations!